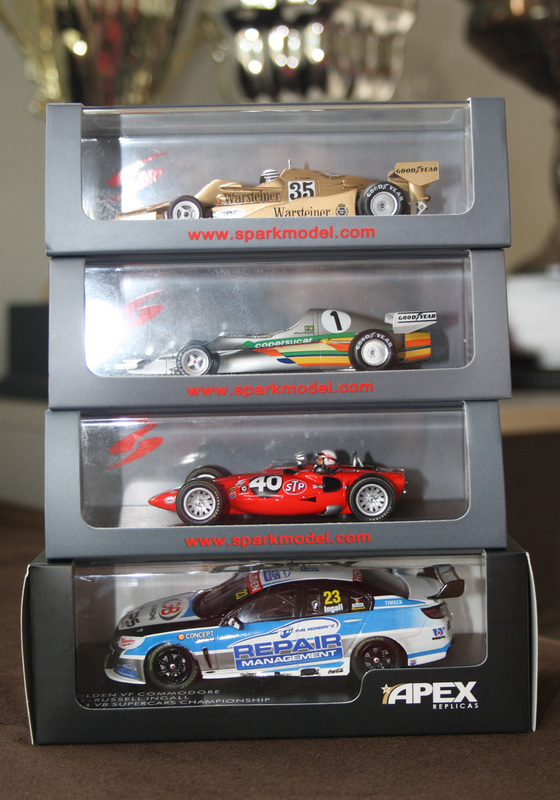 These four gems arrived from Apex a few days ago – a couple of lesser known F1s, a controversial Indy racer and Russell’s last (fulltime) ride. Each will be the subject of a review in the coming days/weeks. 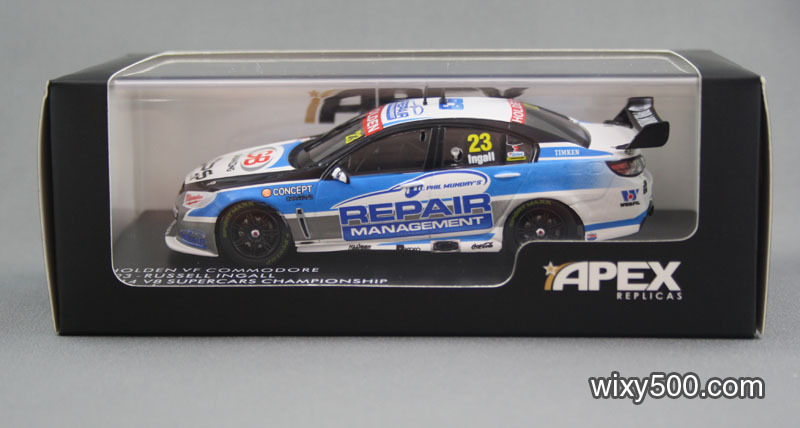 Some new race cars releases coming to market: Apex has confirmed production of the 2014 Repair Management Australia Commodore driven by Russell Ingall. 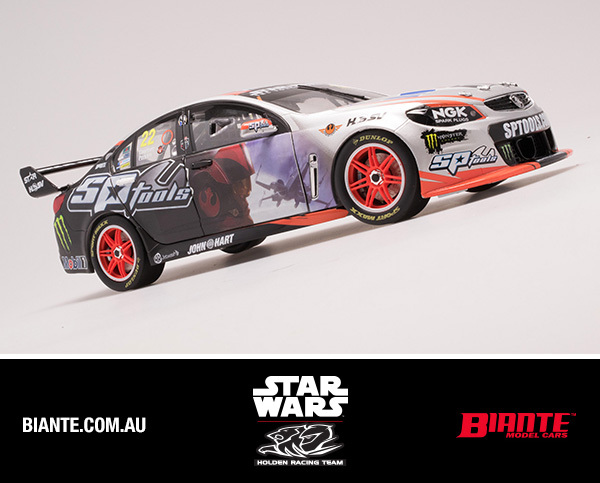 In addition to the chrome red Bathurst specials, GRM’s 2013 regular season VFs from the Auckland 400 (Scott’s first race win in V8 Supercars) will be coming through soon. 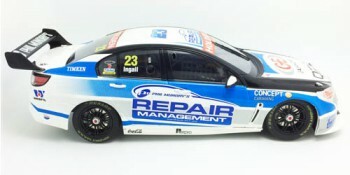 confirmation that we will be producing the 2014 Repair Management Australia Commodore driven by Russell Ingall. 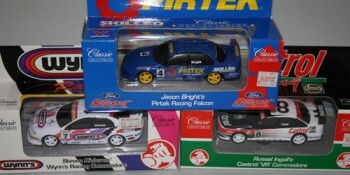 confirmation that we will be producing the 2014 Repair Management Australia Commodore driven by Russell Ingall. 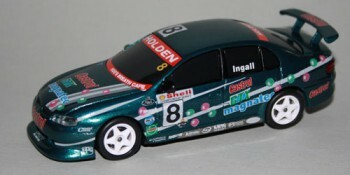 Today I finished Russell Ingall’s Castrol VT Commodore that raced in this one-off “Magnatec” livery at Canberra’s GMC 400 in 2000. Build Diary below.